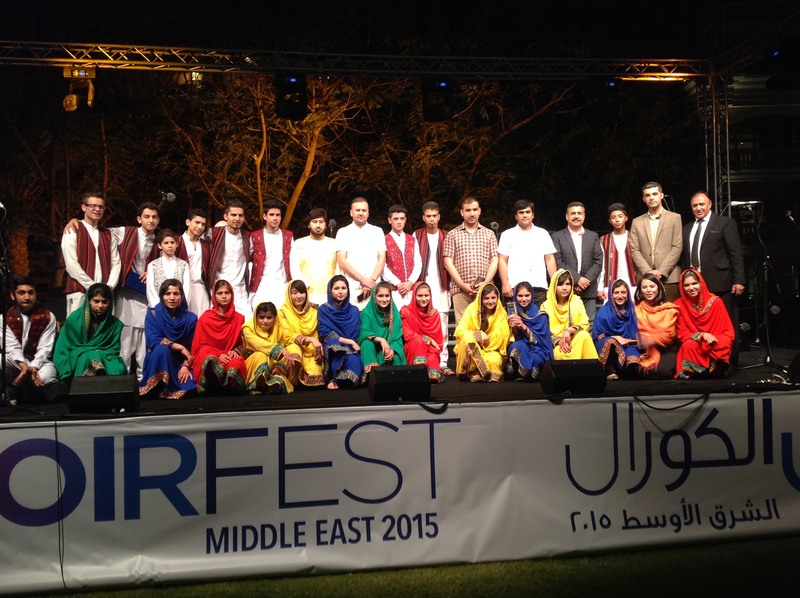 In my last blog post I left you with a cliff-hanger – did the Afghanistan National Institute of Music students make it to Dubai for ChoirFest Middle East or not? Were their visas issued in time? I arrived in Dubai to an email that said the group was still waiting on half the visas, and that if the remainder were not issued, then the group was unlikely to travel. I went to sleep feeling disappointed, and more than a little foolish to have travelled all that way and have the group not show. I awoke in the morning to a new email – half the group had travelled to Dubai! Eleven students was enough for me to gather the data I hoped to gather, and so I was elated! 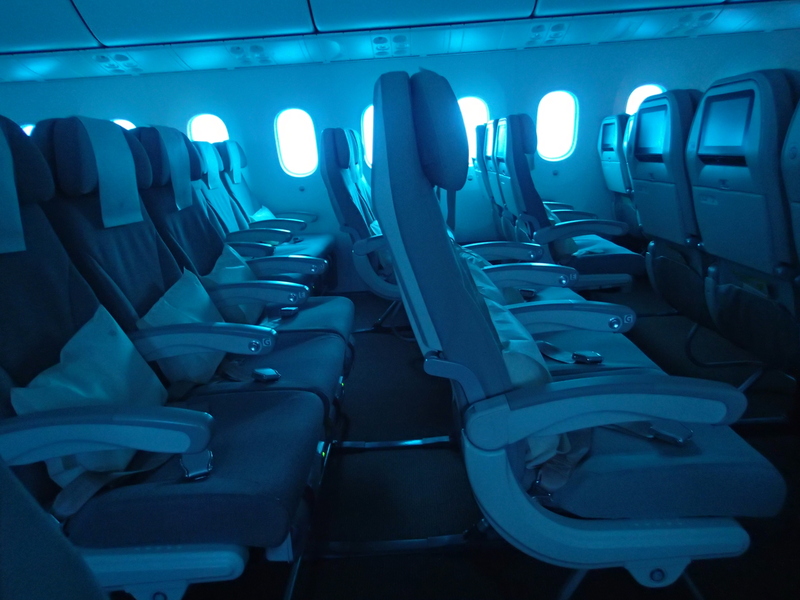 No sign of jetlag – I was energised and ready to get started. What followed was an intense three-day period of sticking closely to this group of bright and hard-working young people and their delightful teachers, chatting informally, and grabbing opportunities for interviews whenever I could. 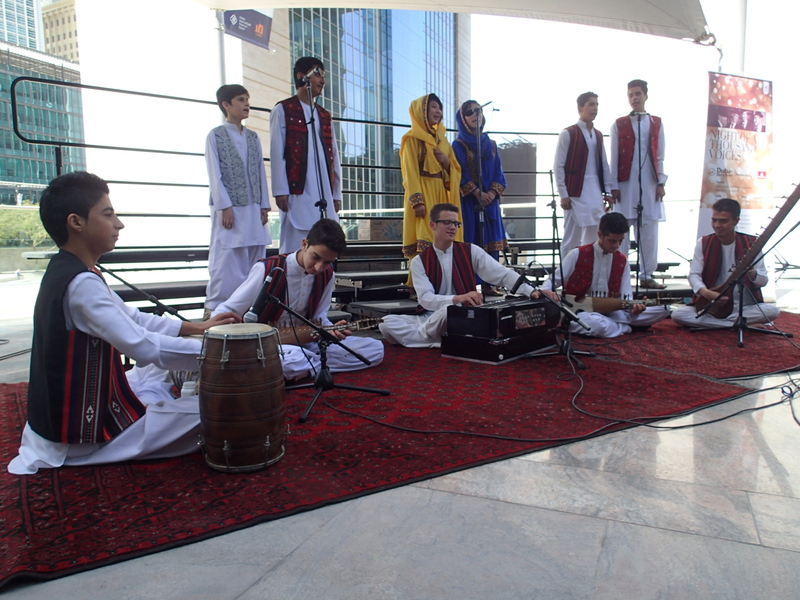 The group consisted of five instrumentalists in a traditional Afghan ensemble, and 6 singers. The group included two girls. On Thursday the group performed in a lunchtime/early afternoon concert, and this was when we also got to meet and hear some of the other choirs participating in ChoirFest ME – the Tehran Choir, the Ensemble Vivace from Beirut, and Cadence, an a capella quartet from Toronto, who were the headline artists for the festival. Then we travelled by bus to the rehearsal/workshop venue to take part in two rehearsals and workshops. At 6pm, the ANIM group went to Dubai Mall, where we saw the sights and ate some dinner. The ANIM students liked doing the same things that teenagers everywhere like to do – they wanted to check out phone accessories shops, and take photos of themselves in various groupings, in front of various backdrops. Not camera-shy at all! 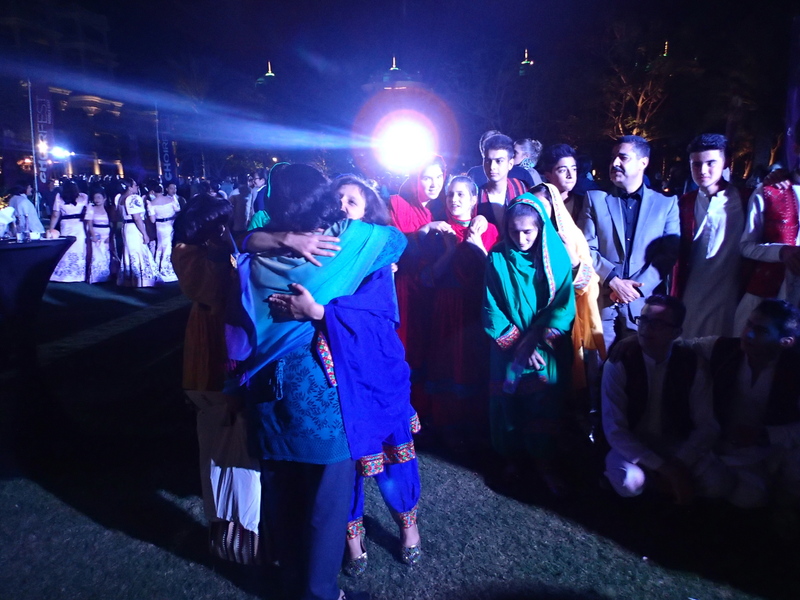 The great highlight of Thursday was when Dr Sarmast, the school’s director, received a phone call saying that the remaining visas had been issued, and the second group of students – mostly girls from the orphanage with whom ANIM works in close partnership – would be travelling to Dubai the next day, arriving in time for the ChoirFest Gala concert. The group in the restaurant burst into joyous whoops, cheers, clapping, and dancing at this point. Witnessing their delight at the news was quite something. There are obviously very strong bonds between the students, and it must have been very stressful and upsetting for all of them to have half the group sent back home from the airport the previous day. They had prepared for this tour together – now they would get to perform together as planned. Friday was taken up with more workshops and rehearsals, and an evening Gala concert. The second group of students arrived in the evening, to the delight and warm welcome of the rest of the group. Following the hugs and excited conversations, everyone assembled for a group photograph – the first of many for the whole group. On Saturday morning there was some free time, so we visited Jumeirah beach. None of the group swam, but they paddled up to their knees (some up to their thighs – who cares about wet clothes? They will dry! ), played chasing games, wrote names in the sand, built sand castles that Dr Sarmast immediately trampled through, and generally hung out doing beachy things. And took photos. The rest of the day was spent at the Kempinsky Palm Hotel, where the Choir of the Year competition was held. Rehearsal, sound-checking, hanging around, hanging out… and then performing. I will write a separate post about the whole ChoirFest ME experience. The second great highlight of the trip was when the ANIM choir won the Best Regional Choir award! The whole group returned to the stage to receive the award. It was a wonderful recognition of all their work, and given the uncertainty of their travel, a particularly sweet success for them and everyone who had worked so hard to get them to Dubai. For my part, I felt privileged to be able to observe the group at work and play. Short of going to Afghanistan (which my university won’t let me do – which means that I wouldn’t be able to use any data I gathered there for my PhD dissertation), this was the best way for me to get to do this. I was also able to interview students about their experiences of being a music student in the midst of a war-affected and volatile environment, and many cultural barriers and obstacles. I chatted with them in English (with those that knew English), in Italian (some of the girls knew Italian), in Russian (one faculty member spoke Russian – mine was very rusty indeed, as I last spoke Russian about 20 years ago), and in Dari with the help of interpreters. This fieldwork travel was supported by SEMPRE (the Society for Education, Music, and Psychology Research), who awarded me a Gerry Farrell Travelling Scholarship in 2014. I thank them most sincerely for making this travel possible and supporting my research in this way. Great to get the follow up to this story – I am still cheering from the sidelines and excited for you to have had this opportunity. Thank you Mandy! I was so relieved when I learned that they had travelled. And glad I’d jumped on the plane – if I’d waited for confirmation I’d have got there 12 hours later. Squeezing what is normally 2-3 weeks of data gathering time into 3 days was a bit of a challenge, but I am pretty sure I got some great stuff. And just being there to observe all the interactions with people and space in person was incredibly valuable. Thanks for your cheers! This post finally gives me some idea of the previous lives of some beautiful young men from Afghanistan I only saw here in Melbourne when they were struggling asylum seekers. Oh you must watch the documentary when you get the chance Jennifer! You will love it, for the music as well as for the children’s stories. 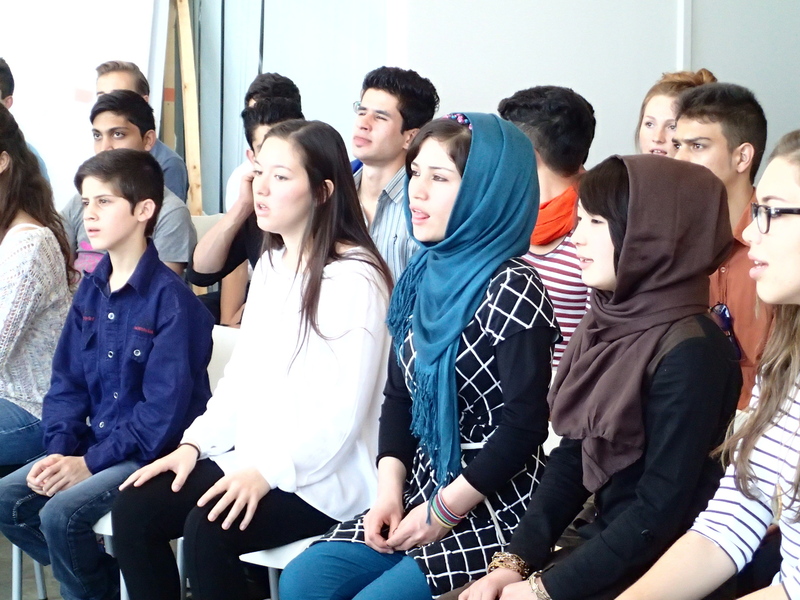 It really does give context to the prior lives of the courageous young people from Afghanistan that we meet here.